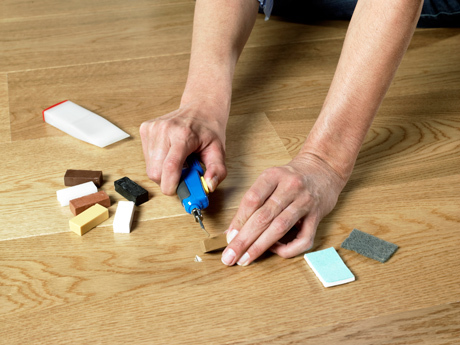 In case of strong heating the laminate shrinks and small cracks in joints appear. To avoid this problem just regularly air the apartment/house or to establish a humidifier. The concrete coupler as the easiest way to make it equal will be the ideal basis for a laminate. Some owners don’t trouble themselves equalization of a floor and install the laminate directly on the uneven floor. As a result the laminate spoils, disperses, breaking laminate locks. It is necessary to leave a gap between the wall and a laminate. 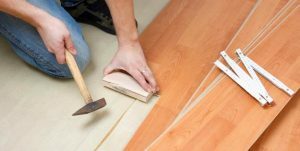 As the laminate consists of a wood, because of humidity and/or temperature it can shrink and inflate. These gaps don’t allow it to damage itself as a result of these impacts. If gaps are absent they need to be done. Sometimes there can be construction debris under a laminate. The small stones and dust which got to the lock won’t allow it to lock complete, forming cracks and over time will destroy the connection. And stones under a laminate will make a crunch sound when walking and destriong the surface from the opposite side. Perhaps you purchased low-quality products with unreliable, weak locks which broke without having sustained operation. Laminate cost is influenced significantly by locks which it is equipped. Castle connections of the lock system cheaper, but not such reliable, as click system locks.